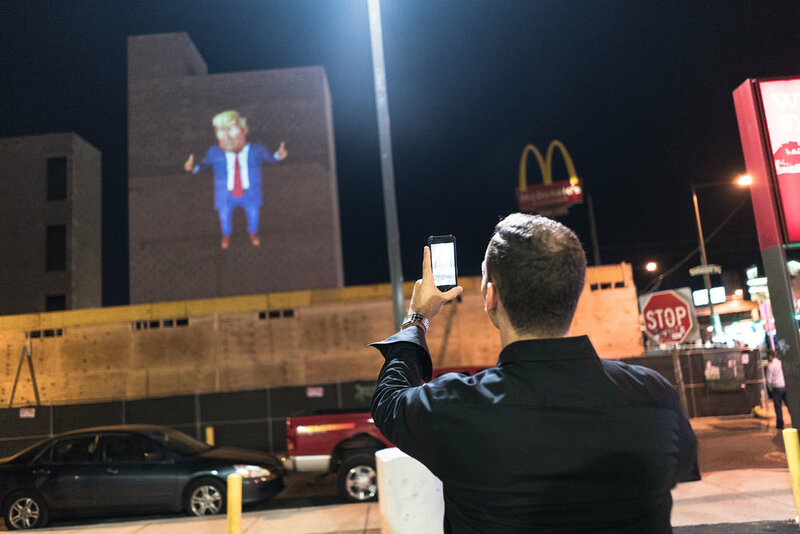 To do our part for the 2016 presidential election, we loaded up a U-Haul and hit the town for an impromptu night of projection mapping. Using Faceware Live and the Unreal Engine 4 we did facial mocap of an actor. 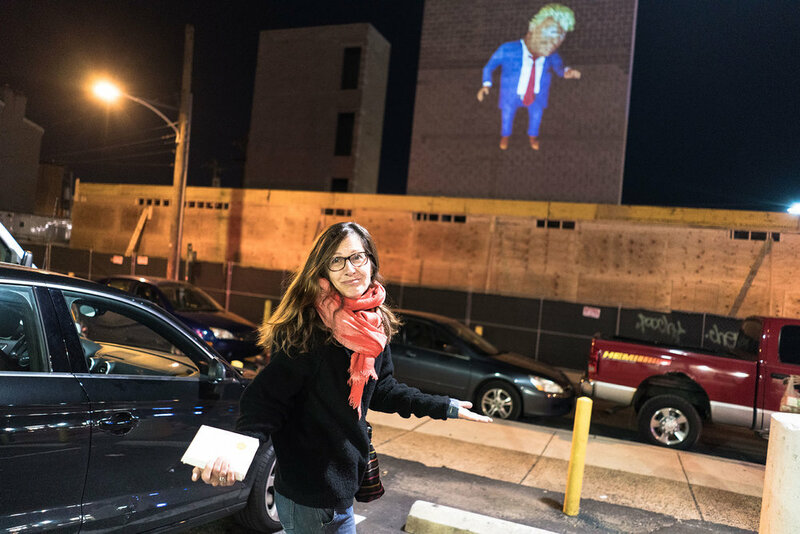 His expressions were animated in realtime to a 3D model of Trump. All the character's movements were controlled from a game controller. For the projection mapping, we used our Nvidia-powered Touch Designer servers.